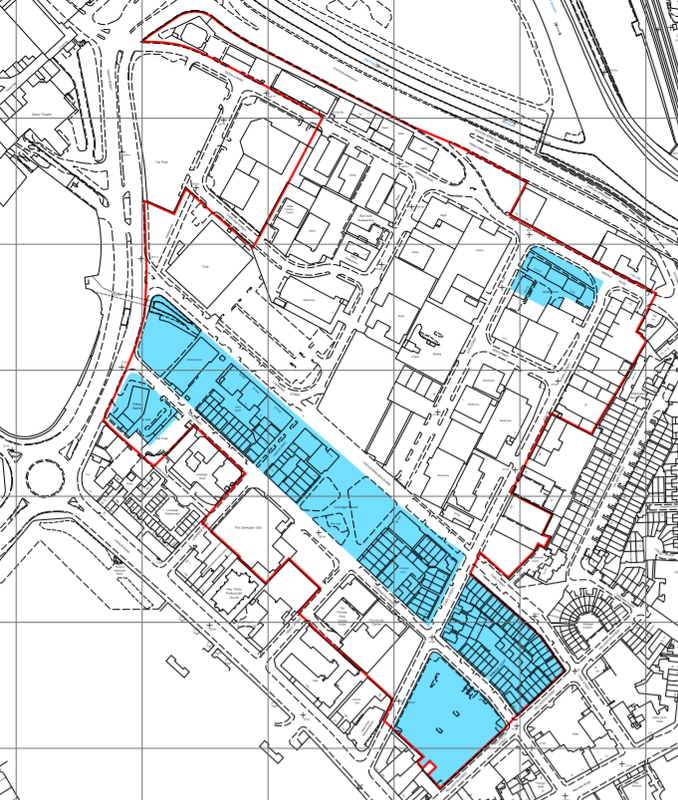 The council's boundary plans: CPO boundary lined in red, exception sites in blue. Derby City Council’s regeneration plans for Castlward – which is “a priority project in the Derby City Centre Masterplan 2030 and important in achieving the housing targets in the Derby City Local Plan” – could see land owned by businesses bought through a Compulsory Purchase Order (CPO), documents released ahead of a Cabinet meeting reveal. building 54 homes. A planning application has also been submitted from Elevate for up to 180 homes. The remaining phases, phases 3-5, are to deliver at least 800 new homes which the council want to build on land that is currently owned by various organisations and businesses. At the aforementioned meeting, which is due to take place next week (14 November), approval will be sought from the Cabinet to use the council’s compulsory purchase powers if necessary for the acquisition of the properties. In advance of a CPO approval, the Council is to continue negotiations with landowners to acquire land by agreement. Key partners in the delivery of Castleward are Derby City Council, Homes England and Compendium Living, who were appointed as developer partner for Castleward in 2011.